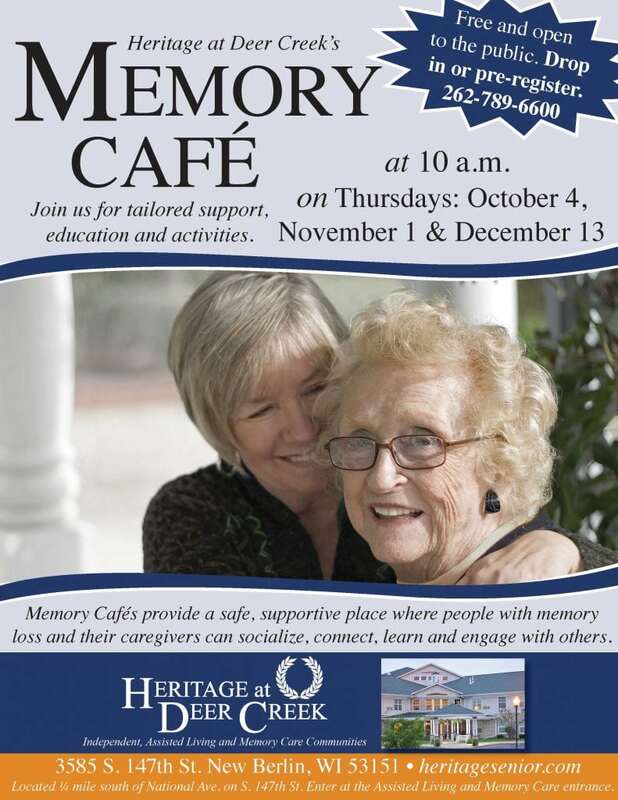 Memory Cafes provide a safe and supportive place where people with memory loss and their caregivers can socialize, connect, learn and engage with others. Join us at Heritage at Deer Creek for a morning of tailored support, education and activities. This event is free and open to the public. Drop in or pre-register by calling 262-789-6600.